We specialize in flatwork such as patios, sidewalks, walkways, driveways, stairs, porch and entry ways, garage floors, pads and much more. We offer a selection of stamps and colors to add style to any of your concrete needs. There are many benefits to installing concrete outside of it's customizability. It offers business and home owners a highly durable, cost effective, product that requires low maintenance and will outlast many other construction materials. Concrete is one of the most economical and cost-effective products. Concrete is low maintenance and highly durable leaving costly repairs out the window in years to come. ​​Concrete has been used for over 2,000 years and mastered by Ancient Romans to which their buildings are still standing today. Concrete is weather, fire, mold and mildew resistant. It does not require coating or painting to ensure it's durability against weather as would a metal or wood structure. Concrete is pest proof for those pesky ants, termites or rodents. 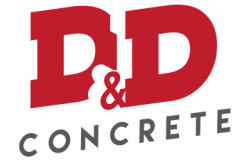 Concrete outlasts most construction materials and offers homeowners and business owners peace of mind when making their purchase decision. ​​Concrete is one of the most environmentally-conscious materials as it is made from materials locally available. Concrete produces no emissions, it is made of natural materials and does not require toxic additives. Concrete is a responsible choice as it leaves the smallest impact to ensure a sustainable future.